The jets designed Sam Darnold as their quarterback of the future and it looks like this future will officially start on September 10th. According to NFL.com, the Jets have decided that Darnold will be the start of the team's quarterback for their regular season opener in Detroit, which should not surprise anyone who watched the jets during the preseason. Apparently the jets were determined to clear all quarterback decisions on Wednesday. The decision to launch Darnold lasted only a few hours after the team had sold Teddy Bridgewater to the Saints . With Darnold it became quite clear that he would start when he was ready and the jets felt clearly that he was ready after seeing him in three preseason games. At first, the jets started slowly kicking him off the bench against the hawks. Darnold then began the next two preparatory games against the Redskins and Giants in New York. Although Darnold did not show any noticeable numbers during those three preseason games, Jet's coach Todd Bowles was more than pleased with what he saw. During his three preseason appearances, Darnold completed 64.4 percent of his passes (29 out of 45) for 244 yards and two touchdowns. The rookie also threw an interception that came in the 15-13 loss of the jets to the Redskins. 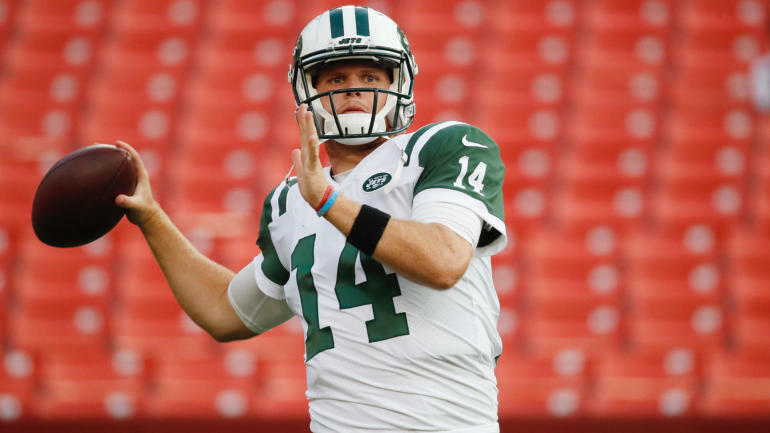 Although there have been plenty of rookie starting quarterbacks in NFL history, Darnold will indeed set an NFL record when he takes over the field at the Jets opener. Darnold will be 21 years and 97 days old on September 10, which will make him the most recent opening day since the 1970 AFL-NFL merger. However, he will not be the youngest starter of all time, because this honor belongs to Tommy Maddox, who was 21 years old and 81 days old when he made his first start in November 1992. The bad news for the Jets is that 21-year-old quarterbacks are able to fight with an opener. The youngest quarterbacks to start week 1 in the last 30 years are Drew Bledsoe with the Patriots (21 years and 204 days old), Matthew Stafford with the Lions (21, 219), Jameis Winston with the Buccaneers (21, 250 ), and DeShone Kizer with the Browns (21, 151). Not only did all four quarterbacks lose their start in Week 1, but also averaged 36.5 to 18.3.